Kallie Brynn Blog: Home Renovations. Build stuff and get hands dirty. 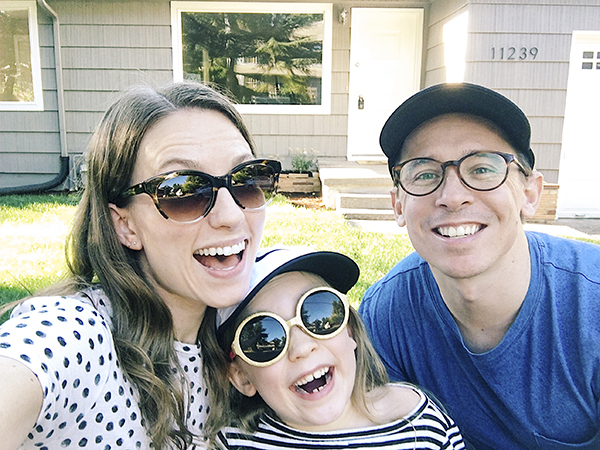 This past summer 2017, we moved to Portland, Oregon, and bought a house! We bought it from flippers who left it looking pretty, but after moving in, the 1955 birthdate started to show. We’ve had to redo pipes, do extensive waterproofing, and have plenty more to go. Thankfully, we get to mix in fun projects with the bad, and I have loved tackling everything from wiring new lights, to building shelves, to making and painting perfectly sized canvases for our living room. I’ll share my projects, discuss plans, and daydream over wishlists in this series. I don’t expect to have every detail of my renovations for you to follow to do it yourselves, but that might evolve over time. As always, never hesitate to ask a question!